Vintage Southwestern Black Onyx Sterling Silver Inlay Wedding Band Ring. 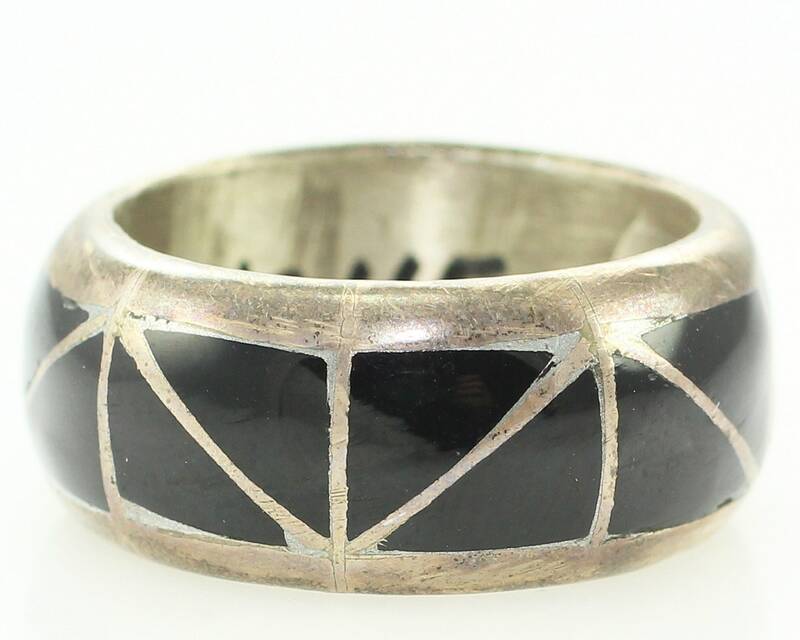 This hand made ring features hand carved black onyx inlaid in a triangle design on a domed band of sterling silver. The band is 10.4 mm wide and is 3 mm thick at the center. 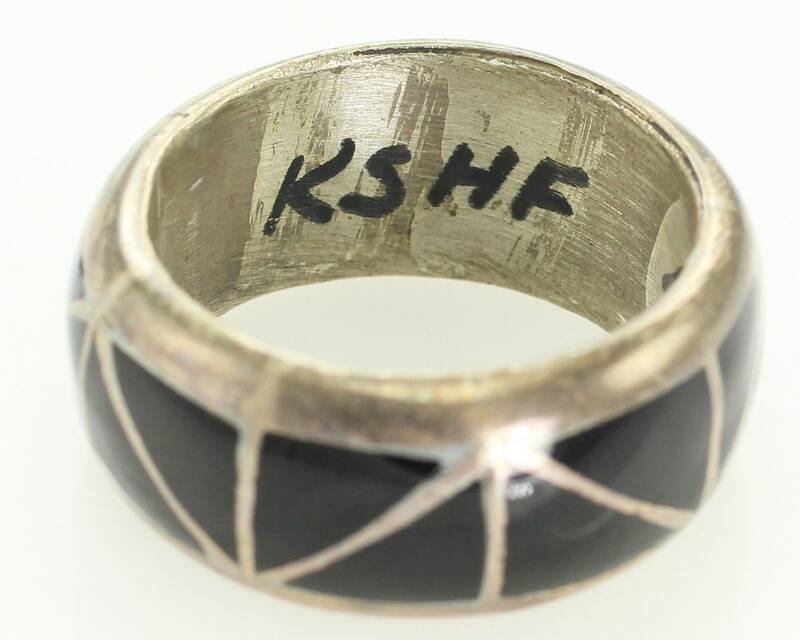 There is no mark on the band, but the ring tests as Sterling Silver. There are the original ink price and buyer's code on the inside of the band. HALLMARKS/HISTORY: Unmarked, but tests as sterling silver. Ink mark and price on the inside are original and date from the 1970s. 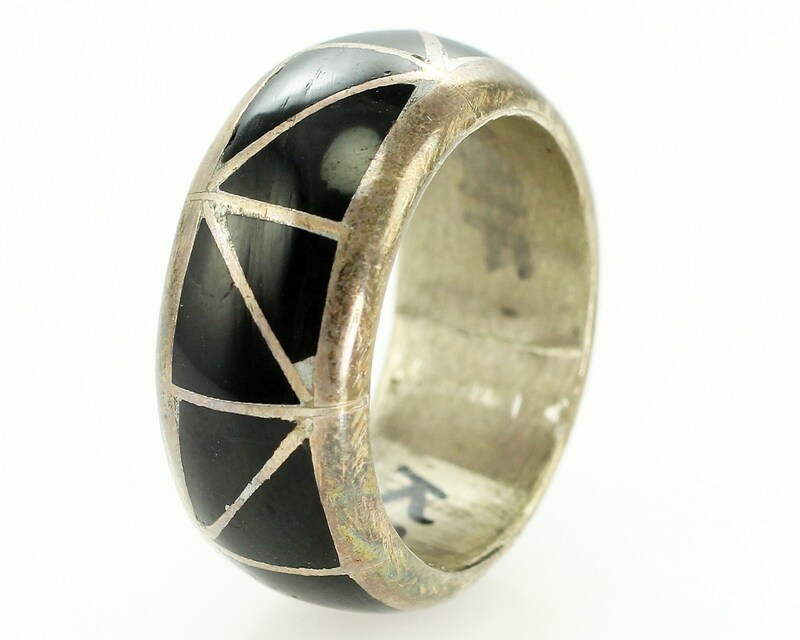 MEASUREMENTS: Ring is 10.4 mm wide and 3 mm thick.